The President RamnathKovind was welcomed at theBhamhrawli Airport by Governor Ram Naik, CM Yogi Adityanath and other cabinet ministers. To the artiSavita Kovind, his wife accompanied him from Air Force special aircraft in the morning 9:30 am. The President attended the Ganga Pooja today at Kumbh Mela 2019. There were many other leaders present at the art including Civil Aviation Minister Nand Gopal Gupta, Deputy CM Keshav Prasad Maurya, Mayor Abhilasha Gupta, etc. From the Prayagraj Fair Authority, Purohit Pradeep Pandey stated that the President worshipped Ganga for approximately 31 minutes. President Kovind is the second one who attended Kumbh Mela after Rajendra Prasad. ArdhKumbhMela is one of the biggest gatherings that occurs every six years. The host of this biggest ArdhKumbh is Prayagraj where millions of people will celebrate this holy festival. However, there are so many things about Kumbh Mela 2019 that one might not be aware of. So, let’s check out the whole ArdhMela enjoyment that is to be held from 15th January to 4th March. 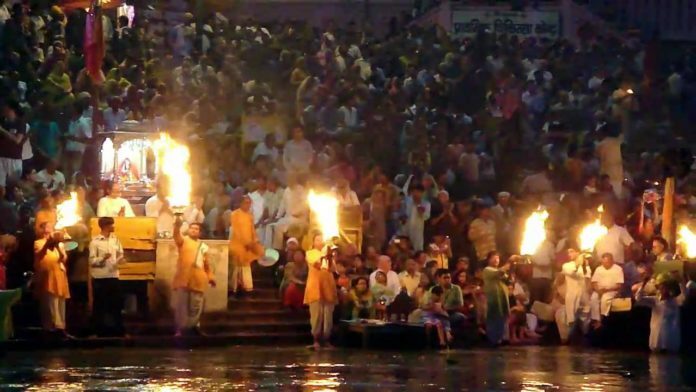 The Haridwar KumbhMela2019 is the most expensive and costlier ever. The government has invested approximately Rs. 4,200 crore. In addition to this, the total area covered by Kumbh is 3,200 hectares which were only 1,600 hectares in the last one. The Indian People have faith that River Ganga is most pure and have the ability to wash away their sin. Hence, the 48 days will be the busiest one with over ten millions of pilgrims and devotees visiting Kumbhas per the expectation. The congregation consists of Sadhus, Ascetics, Kalpvasis, Sahvis, Saints, and pilgrims. In addition to this, there are over 6 dates for the bathing.